!! !Dealers MUST REPRICE vehicles to determine actual dealer cost!!! 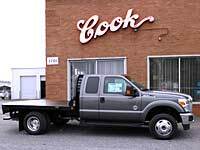 Please CALL US at 704-392-4138 to have FORD Invoices or DORAs on available units sent to you. GOOSE BODY: Blue Ridge Mfg Rodeo Goose Body RD 9.5D, mounted on F350. Radius Tube Bulkhead with unobstructed rear window, 30000# Goose Neck Hitch, Asphalt undercoating of body, recessed lights and tag well, all included. Body floor made of steel or aluminum. 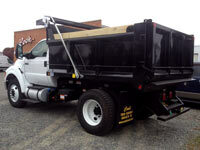 CONTRACTOR DUMP: Blue Ridge Mfg Load-Pro Contractor Dump, available in 8' - 16' lengths. Integrated cab guard, recessed lights, and 3/16" steel floor standard. 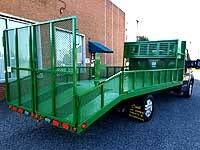 Popular options are drop-down sides, boxed top rails, and tarp systems. 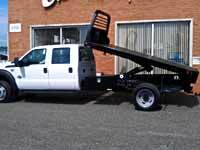 This truckl includes a Venco Hoist, Electric Tarp, mounted on 2015 Ford F750; #600146. 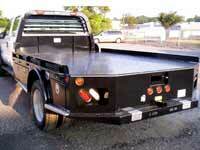 F450 CC 4x4, Blue Ridge Super Hauler 9.5' DRW; 96" Width. Trailer Plugs(2), Receiver Hitch, Goose neck hitch compartment w/ball. 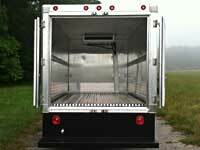 WeatherGuard Van Shelving and Interiors, custom designed for all vehicles. 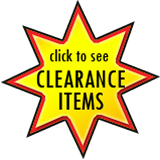 Ladder Racks and partitions are also available. Blue Ridge Grass Pro Landscape Body. PLEASE NOTE: We will be happy to SPECIAL ORDER CHASSIS for Dealers (subject to standard pool rules).